Individuals with crooked teeth often feel insecure about smiling their biggest and brightest. Don’t let misaligned teeth hold you back from expressing yourself and feeling confident in your appearance. There are a variety of cosmetic dentistry procedures available to give you the smile of your dreams. Contact the cosmetic dentists at Abougoush Family Dental Care to learn more about the teeth alignment option that is right for you. Braces – This classic option is still effective today. Braces are no longer as bulky or unsightly as they were in the past however, and can provide a lifetime of straight teeth that are easier to brush and floss. That means a straight smile with the added bonus of healthier teeth and gums. Brackets, wires, and elastics combine to tighten and adjust the position of your teeth gradually, resulting in teeth that are perfectly aligned. From under-bites to overbites and crowded teeth, braces can solve a host of teeth alignment troubles. Learn more about braces in Calgary by contacting your cosmetic dentist. Invisible Straightening – If you fear showing the world a smile with braces as much (or more) than sticking with your crooked teeth, consider invisible braces options in Calgary. These mouth guard-style trays are translucent, and straighten teeth gradually over time. 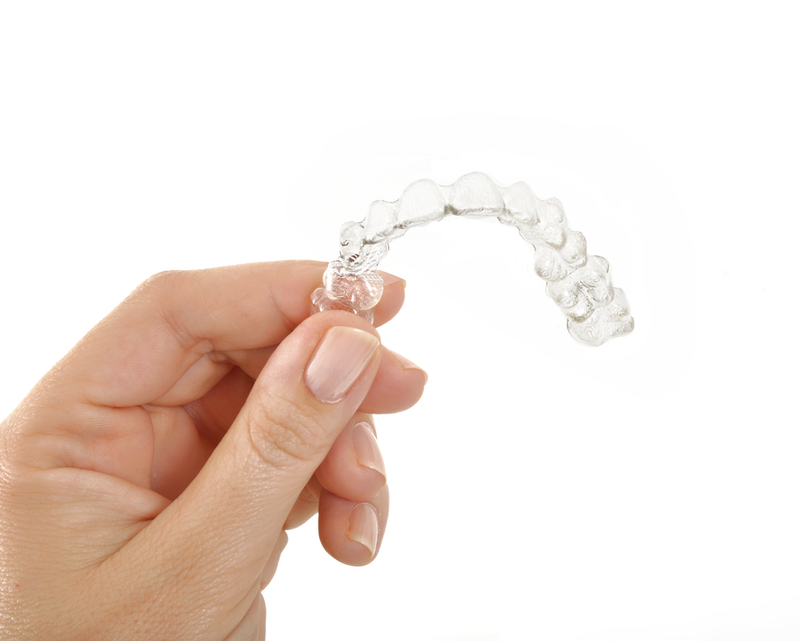 With Invisalign®, your journey towards a straighter smile won’t be obvious to your friends, co-workers or clients. Reach out to your cosmetic dentist in Calgary for more information and to find out if Invisalign®is right for you. Abougoush Family Dental Care can provide your entire family with dental care. We offer comprehensive general dentistry for patients of all ages and a range of cosmetic dentistry procedures to get you smiling with confidence. From braces to teeth whitening and fast dental crowns, our friendly staff is here for you and your teeth. We are accepting new patients of all ages and would love to welcome you at our NW Calgary dental clinic. Visit Abougoush Family Dental Care today to learn more about getting the straight smile you have always wanted. Reach us at 403-289-7370 to schedule your appointment or contact us online today.